I'm using macOS Sierra 10.12.3 on my Late 2015 15" MBP. Replace X with your disk number, and the index "2" with the partition number of the windows partition. Afterwards, use the gui to enlarge your partition. Not the answer you're looking for? 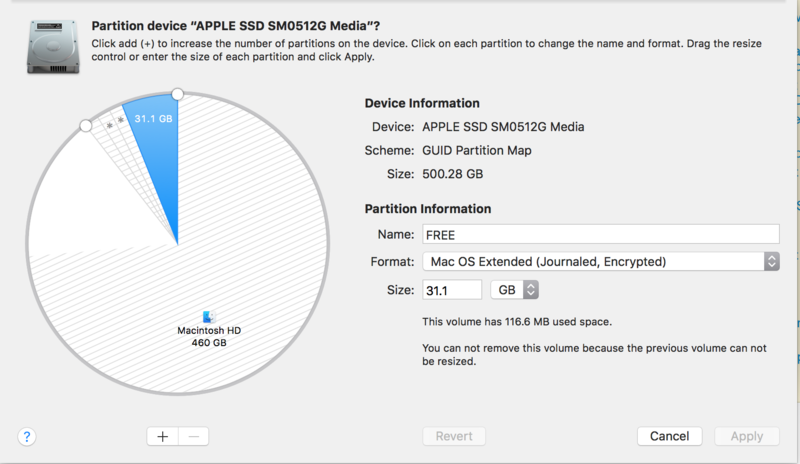 Browse other questions tagged hard-drive bootcamp disk-utility .